Erythromelalgia is a rare condition that can be quite devastating for its sufferers as well their families. Read on to know what is Erythromelalgia as well as its causes, symptoms, diagnosis and treatment. Doctors and medical researchers define Erythromelalgia as a rare type of neurovascular peripheral disease that is characterized by pain and inflammation in the hands. The blood vessels in the hands suffer from episodes of obstruction followed by increased blood flow. It results from genetic mutation and presents symptoms that are often triggered by heat, changes in temperature, spicy foods, alcohol and over-exertion or exercise. It can result from certain autoimmune disorders, essential thrombocytosis, mercury poisoning, mushroom poisoning and Hypercholesterolemia. This condition is characterized by episodes of redness, inflammation and pain in different parts of the human body, especially the hands and feet. In some cases, the aches caused by this disorder can be so weakening as to hinder daily activities such as walking and wearing shoes. A person affected by this disorder may also be unable to attend school or office regularly. The intensity of symptoms can widely vary from one patient to another. Some affected individuals experience moderate itchiness and tingling sensations which persist for only a few minutes. Others suffer from acute pain in their hands or feet. Some patients may also suffer from acute skin discoloration for several months or at least weeks at a time. Generally, the discomforting symptoms are triggered by warm temperatures or friction due to constant skin contact with gloves and shoes. However, symptoms can also flare-up without any external stimulation. Very rarely, redness and burning symptoms have been found to affect other regions of the body, such as the ears and the scalp. Progressing age is believed to cause as well as aggravate the symptoms of this disorder. This is because most patients suffering from Idiopathic Erythromelalgia are found to be above 60 years old. Young sufferers may experience symptoms if any genetic blood vessel condition is found to be present in them. In rare circumstances, Erythromelalgia itself may run down generations in the same family. This usually happens when any of the parents of the suffering infant is a carrier of a particular genetic mutation responsible for the disease. Presence of an underlying autoimmune disease, such as diabetes or lupus, is also believed to be associated with the development of this condition. The condition is also suspected to arise due to the presence of other conditions like Sciatica, Myeloproliferative disease, Hypercholesterolemia, Mushroom poisoning, Fabry’s disease, Small fiber peripheral neuropathy and Mercury poisoning. The disease is also supposed to occur due to the presence of neurological conditions, such as Multiple Sclerosis. The condition may also result due to side effects arising from use of ergot derivatives like Nifedipine, Verapamil Pergolide and Bromocriptine. As aforesaid, some cases of Erythromelalgia are believed to arise from mutations in the SCN9A gene. These genetic mutations result in a NaV1.7 sodium channel that stays open for a greater duration than in usual cases. This results in an increase of sodium ion flow into nociceptors. This elevation in the flow of sodium ion increases the transmission of pain signals. It leads to the appearance of the signs and symptoms of Erythromelalgia. Approximately 15% cases of this condition are thought to be a result of mutations in the SCN9A gene. Some cases are believed to occur due to a non-genetic factor or as a result of mutations in one or more unidentified genes. The discomforting episodes associated with this syndrome are generally triggered by an increase in body temperature. A rise in body heat may result from workouts, wearing tight socks or shoes for too long or staying in warm environs for a prolonged duration. Ingestion of spicy foods or alcohol may also give rise to an episode. With advancing age of sufferers and progression of the disease, there may be constant redness in the hands and feet which can extend to other areas such as the face and the upper legs. 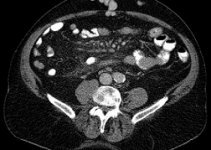 This condition is difficult to detect due to the lack of specific diagnostic tests. A dermatologist typically makes an initial diagnosis of the disorder based on the signs reported by a patient as well as observing the physical characteristics of his or her hands and legs. If the affected individual is not experiencing the symptoms during diagnosis, the doctor may try to induce them by soaking the extremities in hot water. They may also look for symptoms of any underlying condition with the aid of imaging scans, neurological exams and blood tests. A proper diagnosis can take several months and patients may have to consult multiple specialists to find out their problem. 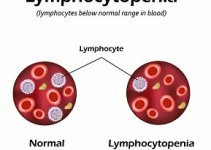 Know about the treatment approach followed for two types of Erythromelalgia. It is important to stay in a cool environment to keep the symptoms in control. Though it helps to maintain a cool body temperature, doctors discourage the use of cold water showers. It can result in damage or death of tissues (necrosis) in sufferers of extremely painful Erythromelalgia. For Secondary Erythromelalgia, primary treatment involves curing the underlying disorder. Use of aspirin may help decrease the symptoms of the condition. Often, it becomes necessary to manage the symptoms by lowering the temperature of the body. This can be achieved by elevating the limbs or placing them in cool water. The pain associated with the disease is acute and cured in an isolated manner. It is still unclear why the painful episodes related with Erythromelalgia mainly affect the extremities, i.e. the hands and feet. Treatment of Erythromelalgia depends on the severity of symptoms as well as the presence of any underlying medical condition. Generally, medicines and home remedies are enough to alleviate the problems. However, some patients finally require surgical cure to interrupt nerve connections and prevent acute complications. If all other curative procedures fail to improve the condition, a surgical treatment may be considered. A process known as Sympathectomy includes surgical snipping of the nerve ends that transmit pain signals from the hands and feet. The process, though having serious risks associated with it, is usually regarded to be more beneficial when compared to the acute impacts of debilitating Erythromelalgia. These nutritious food items can help boost the immune system of sufferers as well as provide relief from the symptoms. During active flares, patients of this condition should also try immersing their hands and feet in cool water. In more serious cases, sufferers may be prescribed with a soothing topical cream. Oral anti-inflammatory drugs and Aspirin have been found to be effective in decreasing the intensity of symptoms in many patients. It is a non-profit organization based in Wethersfield that is dedicated to research and education associated to this condition. The institution has been founded with the aim to promote understanding of the conditions and symptoms of Erythromelalgia. Erythromelalgia is believed to give rise to a condition called “Burning Feet Syndrome”, that is common among individuals over 50 years of age. Burning Feet Syndrome is accompanied by discomforting signs like inflammation and sweating of foot. Here are some useful Erythromelalgia images that you may use for reference. 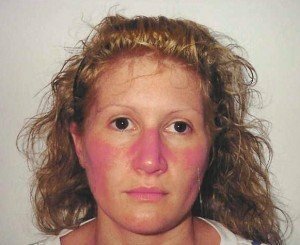 Check out these Erythromelalgia photos to know all about the physical appearance of people affected by this condition. Living with this painful condition deteriorates the quality of life by restricting mobility and giving rise to the feelings of depression and social alienation. The condition, like many other rare disorders, may take years to get diagnosed and treated in an appropriate manner. I think I may have Mitchell’s disease but my feet do not go red at all but they do get very hot usually at night time but they are also very tender and I have to sleep with my feet out of the bed, even throughout the winter. About 45years ago my ex husband brought home some phials of mercury to act as curtain weights. I spilt one of these phials and tried to scoop it back again with my fingers. Could this have had an effect. This is causing interrupted sleep. knowing there are other people with this disorder, is a relief. Statin drugs can cause this disorder to develop. I have had this problem for 5 years now. It seemed to come on me after I had gout one year. Have moved to Up State New York and the climate has helped me very much. Also running fans on the ground. Letting your food cool down before eating. A couple of light beers seems to be ok wile the dark beer and wine not so good. If Stantin drugs can cause Erythromelalgia to develop, would it be helpful to stop taking Stantin drugs? Well stopping consumption of this type of drug relieve the Erythromelalgia o r is there no hope in that regard? I have both erythromelalgia and Raynauds. There are a few new medications for treatment . These are the drugs to try. Gabapentin, Amitriptyline , Antihistamines, Carbamazepine, sodium channel blockers, magnesium in high doses, Midodrine, anti depressants. Avoiding triggers that cause flares: closed toed shoes, exertion, tight clothes, heat, spice foods, alcohol, standing or sitting for prolonged periods, hot water. While EM can be debilitating, figuring out what your triggers are and avoiding them will lessen flares. Stay in doors with fans when temperatures are over 70°. I also have Erythromelalgia (diagnosed in 2016) and Raynaud’s (diagnosed at 19 years old). I also have neuromas for 6 years in the balls of both feet. To make matters worse I have MS also with Relapsing Polychondritis dx a few years ago. So doctors are not pleased to see me when they walk into the examining room. Whole family and grandkids are going on a dream vacation to Hawaii tomorrow. I can not go feeling like this. It’s so hard to explain all the pain I’m in to everyone. I push and push. My sister thinks because I can still walk that I’m fine. (I use a scooter or wheelchair when necessary. I am on aspirin and gabapentin for the MS pain. I don’t know if any of those pills are helping. My attacks are random. The foot pain is complicated by neuropathy from the MS I believe. Feet are swollen enough to make my shoes feel tight. When to a wide shoes for the neuromas and get a half size to a whole size larger. I live in NY and can’t find any doctor who knows what to do with this illness. Good luck to all of you. I hope you and I can get relief. I have a fast moving form of EM. I was diagnosed a week ago and I am in constant burning pain: hands, feet, arms and legs, face and ears burn off and on. I can’t eat, have lost 4 pounds in a week, and I am frightened. Does anyone know if this can affect the organs? My brother has this disorder and he is 38. I worry that I will also get it as it can be genetic.. I started with itching on my feet and now they are really burning.. I dont know if itching is a symptom, I am hoping it is something else.